Dunes Village Resort is minutes from downtown Myrtle Beach at the end of millionaires row. This Ocean Front Resort offers guests unlimited free parking, tennis courts, basketball court and much more! 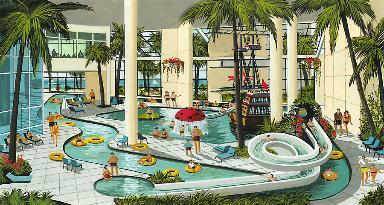 The Best Resort for kids in Myrtle Beach. Put put golf and a playground for Kids. Also enjoy an additional pool side recreation area including billiards, ping pong, foos ball, shuffle board and more!